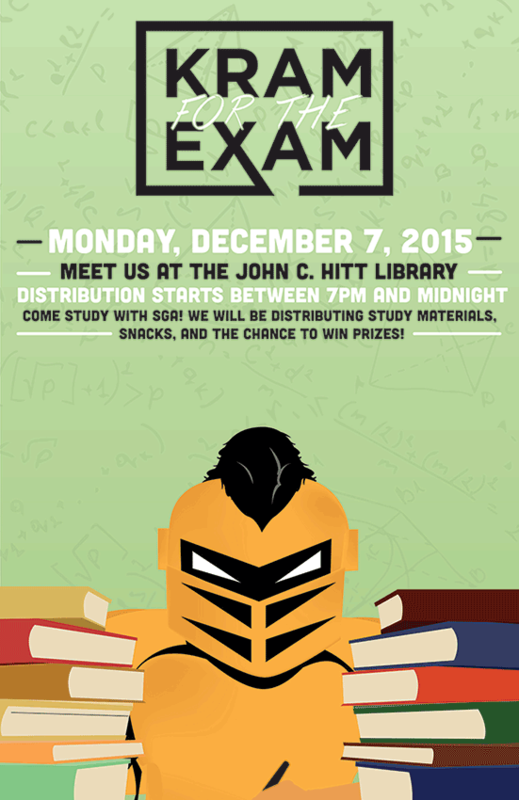 Spend the Knight before the Study Day at the John C. Hitt Library! Kram 4 the Exam will be happening Monday, December 7th. 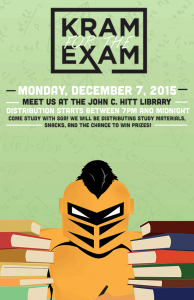 SGA will be distributing study materials and snacks between 7pm and midnight!